I’m throwing you way back to the 30s, 70s, and 80s on this one. Yeah, well….I tend to do that to people sometimes. Little House on the Prairie. A classic, right? It started with the books back in the 30s. Then with the TV series that went from the mid-70s to the early 80s. I used to watch this show all the time. My fave being Laura. She was awesome. Those buck teeth…. Hope you have a fantastic Throwback Thursday! This entry was posted in Uncategorized and tagged 80s, Catch the Rush, Lynn Rush, Paranormal Romance, PhotoBucket, Throwback Thursdays, You Tube by Lynn Rush. Bookmark the permalink. Mary was my favorite! At first because she was a serious student but then I loved her even more after she went blind and started the blind school. I read all the books to my daughter Kira, more than once. They are actually good history lessons and lessons on good behavior. I was crazy about Charles. After Bonanza ended, he was the draw for watching the show. I did get hooked on the other characters and loved the relationship between Laura and her father. 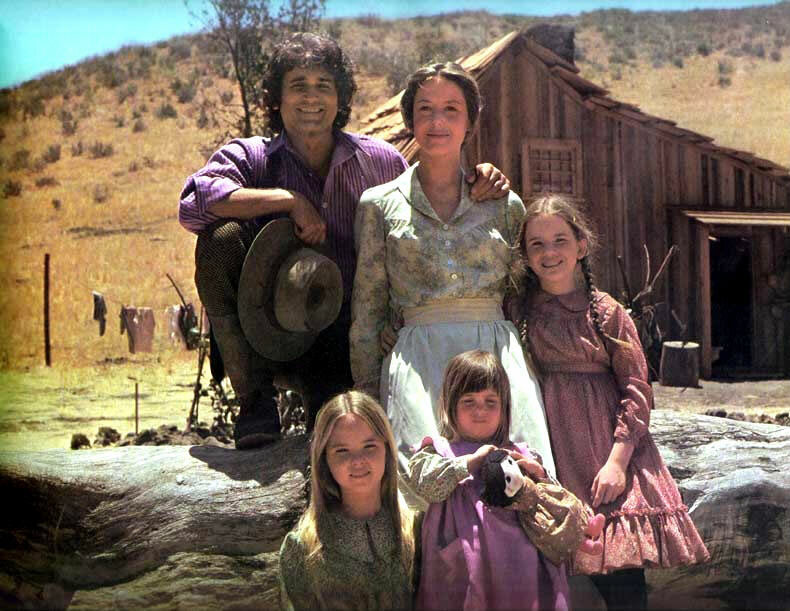 I loved Little House. It aired on Monday nights. Such a great show to watch as a family. They just don’t make ’em like that anymore! My favorite episode was when Laura found the fools gold and then had that dream where she was wealthy beyond belief and totally showed up that mean o’ Nellie Olson! Oh yeah! I remember that one!!!! Loved the books and watched the show religiously growing up. When I was ten, my family went on a Little House on the Prairie vacation and visited all the places Laura lived. What I hate about the show is that is ALWAYS makes me cry no matter what point of the story I start watching an episode. Without fail! Good throwback! I know, right? Tears all the time!!! Oh, this was a fave of mine, but I loved the older sister, Mary. Thanks for the memory! Remember when Mary went blind? OH man. That was intense. I know. Those are great to watch those. Haven’t caught one in a while, but they sure bring back the memories!! I tell ya. Michael Landon was one talented actor! I wanted to be Laura. I loved her. Cute and spunky AND she got the hot guy!! LOL. I wondered if anyone would mention they didn’t like it!!! Yeah. This show wasn’t for everyone. Funny. I never watched the Waltons. Maybe I should put Little House vs Waltons on Debate This someday soon!!! I never got into this show, but my sister loved it. I think she liked the smarty-pants one with the blonde braids. No idea what her name was. Nellie? Really? LOL. She was a little stinker, that’s for sure! First I loved the books, then I loved the show! I must admit, I still watch it on the Hallmark Channel sometimes. Although I liked Laura, my favorite was always Charles, especially when he got teary eyed. And how about Nellie Olson, she was the original “Mean Girl”. Happy Thursday! You’re right. She was the original Mean Girl, wasn’t she? Ohhh, I couldn’t stand her!! !